Don’t wait till the very last minute to buy the ingredient you need for your next lunch or dinner. 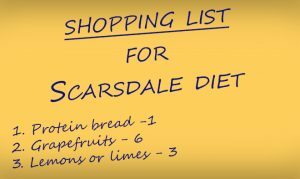 There is a huge possibility not to find the right food, or similar one to substitute it. 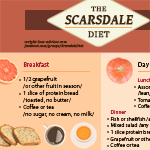 Don’t substitute lunch for dinner or vice versa – that’t not the way Scarsdale diet works! Minor exceptions are allowed only once per week – beware any exception can delay your good weight loss results. fresh or dried herbs – parsley, thyme, cilantro, basil, oregano, rosemary, ginger,chives, etc. thank you so much!! i have been looking for this diet!